Update: This giveaway has ended, but stay tuned for lots more goodies from Lori. 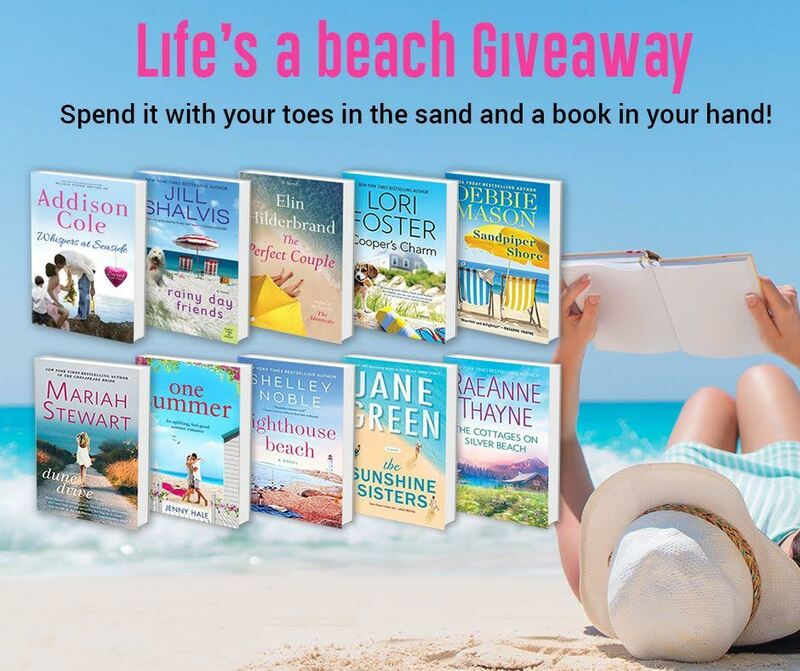 Lori is thrilled to be joining nine other fabulous authors to make TEN of the biggest “Beach Reads” of the Summer in one amazing giveaway!! One lucky winner will receive the new or upcoming print release from best selling authors Addison Cole, Lori Foster, Jane Green, Jenny Hale, Elin Hilderbrand, Debbie Mason, Shelley Noble, Jill Shalvis, Mariah Stewart and RaeAnne Thayne. Submit your entry by midnight Sun, 6/17. Winner announced Mon 6/18. Good luck! ENTER TODAY!